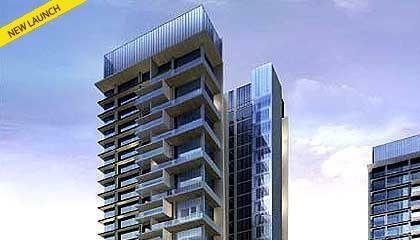 Ireo Gurgaon Hills offer development having only 268 premium residences comprising 3 and 4 BHK apartments and 5 BHK pent houses only two apartments per floor. All units of the six strategically orientated towers enjoy panoramic views of the lush surrounding. It is designed by one of the foremost architects in the world, Soo Chian of Singapore. Each tower presents a fully furnished and air conditioned grand 3000 sq ft entry lounge with majestic ceiling height of 20' amidst landscape spaces. All homes of this project come with an individual balcony. Ireo Gurgaon Hills is developed amidst dense foliage of Gwal Pahari on the Gurgaon-Faridabad Expressway. It is strategically located in open area of the Aravalis and on main road connecting to Gurgaon - Faridbad - Delhi.